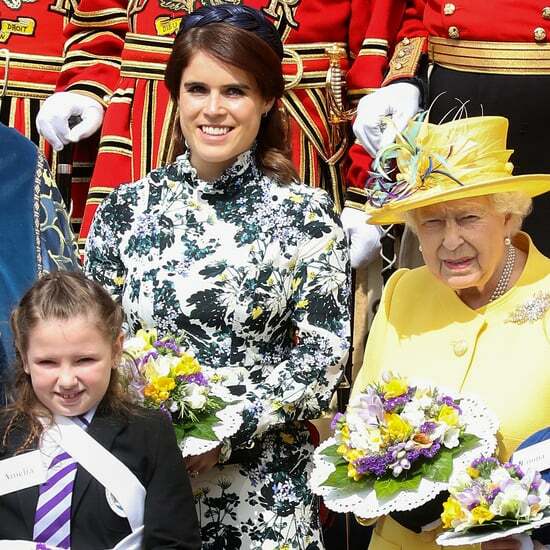 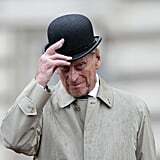 Prince Philip is officially retired. 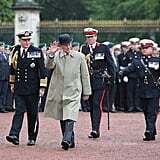 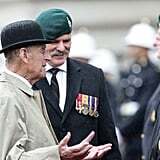 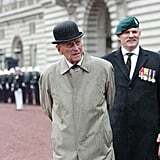 The 96-year-old royal attended his last official public engagement on Wednesday when he took part in a parade to mark the finale of the 1664 Global Challenge, which raises funds and awareness for The Royal Marines Charity, at Buckingham Palace. 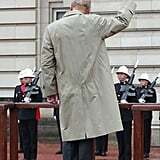 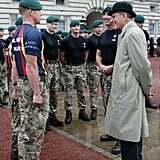 Despite the pouring rain, Philip met with representatives of the organisation, veterans, and cadets before receiving the 1664 Global Challenge baton and three cheers from the crowd. 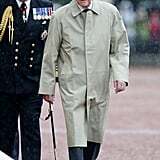 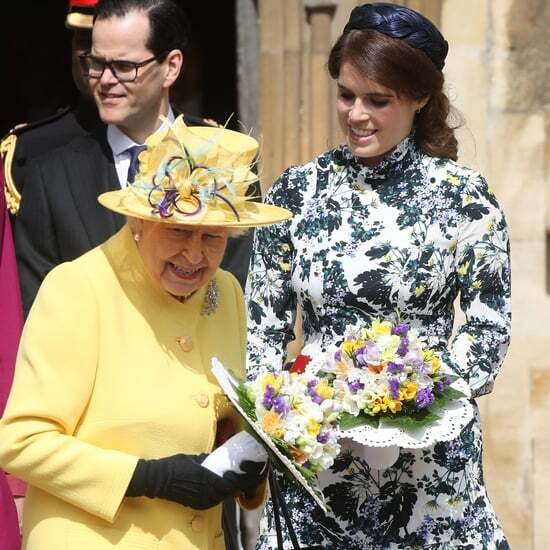 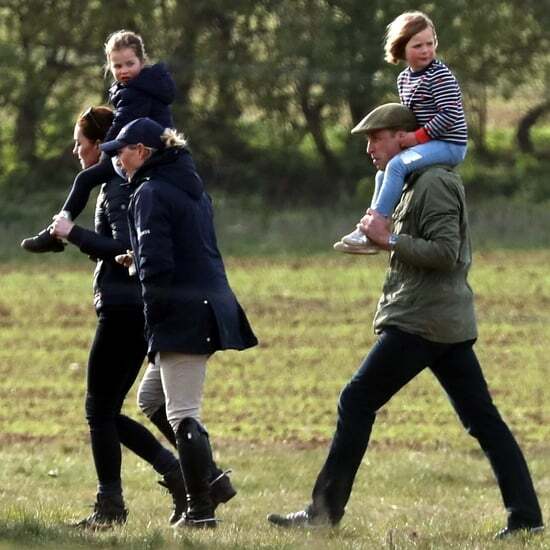 The event certainly holds special significance to the prince, who was appointed captain general in succession to Queen Elizabeth II's late father, King George VI, nearly 64 years ago. 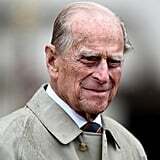 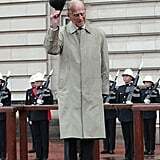 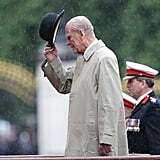 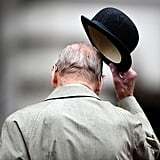 Buckingham Palace announced Prince Philip's last duty in a statement in July, saying, "The Duke of Edinburgh will no longer undertake his own program of public engagements. 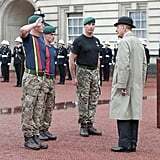 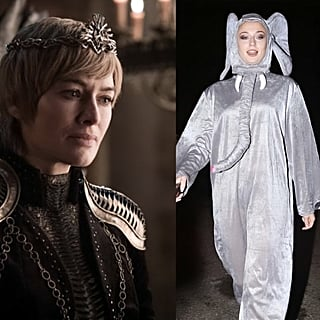 The Captain General's Parade will bring His Royal Highness's individual program to a conclusion, although he may choose to attend certain events, alongside The Queen, from time to time." 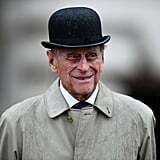 The royal first announced his decision to retire in May with full support from the queen. 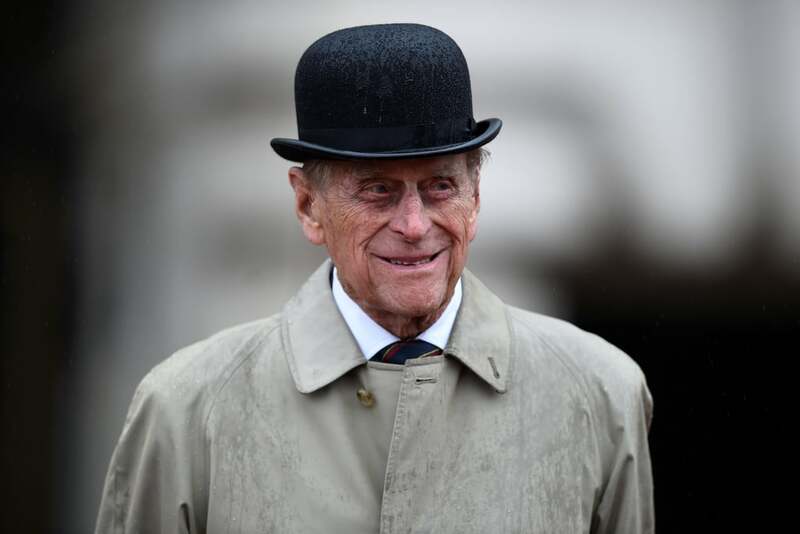 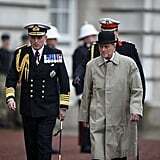 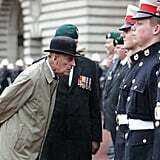 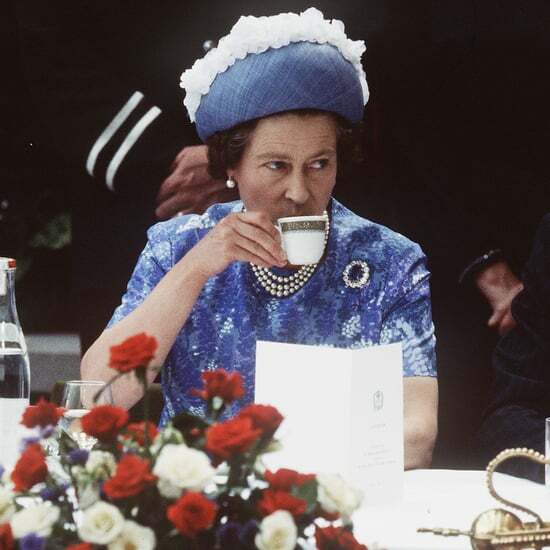 Over the past 70 years, Philip has carried out royal duties on behalf of over 780 organisations.